There’s a lovely thread on the Vogue forums about little luxuries – not the yacht/quail’s egg gems/golden toilet kind, but the small things that give you a little wave of warmth every day. A few of my little luxuries are temporarily denied to me – a glass of Yalumba Y Series Pinot Grigio in a crystal wine glass, a cold G&T prepared for me at the end of a trying day, a weekend afternoon beer, and a daily latte (I was allowing myself one a day until suddenly The Bunny decided that coffee was not mama’s friend. I became involuntarily caffeine-free and have just begun to re-introduce it, to minor heart palpitations and noticeable bursts of nervous energy). My goodness, all my denied items are liquid and addictive. But many luxuries remain – here are my special moments. 1. Glasshouse Candles. I was never a candle fan until I was given a Glasshouse candle as a birthday gift, and so began an obsession. The Glasshouse range is deliciously scented and come in gorgeous (and reusable! Thrifty!) glass jars. I have a number of them that I also use as little motifs in vignettes around the house (that sounded ridiculous, didn’t it?). Each fragrance is named after a destination, making it hard sometimes to tell if you want the scent or the idea of the holiday! They make beautiful gifts too. My favourites are Marseille (gardenia), Caracas (frangipani), Leura (jasmine blossoms), Galapagos (kaffir lime and coconut butter), Esperance (mimosa and wild apple), Tahaa (vanilla caramel), Skye (wild honeysuckle) and Manhattan (little black dress). Hmmm, that’s actually almost half the range. 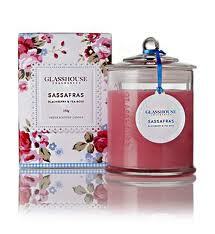 I’m very tempted to try the new fragrance Sassafras (blackberry and tea rose) too. Glasshouse’s new fragrance ‘Sassafras’. So sweet! 2. Good sheets. I was a late-comer to the joy of 1000 thread count sheets. I haven’t quite made it to the Moss River stage of manchester obsession, but it can’t be long. Good sheets make slipping into bed a whole-body moment of ‘ahhhh’. They keep you warm without sweating, and cool without shivering. 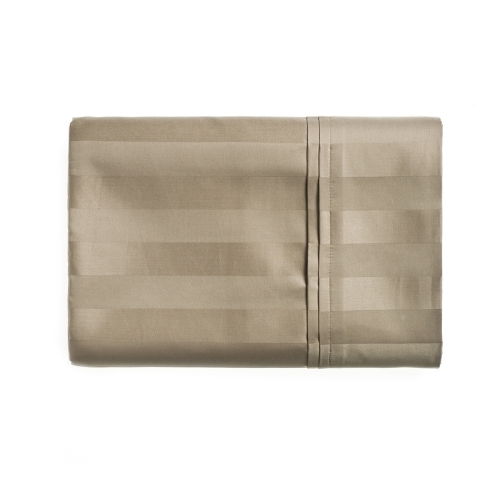 I have had good luck with the Mercer & Reid range (the stripe sateen – make smaking the bed much easier when you have vertical striped to follow)! and Adairs often has sheet sets at 50% off. 3. Good towels. Growing up, towels were a major point of conflict with my mum. She is of the make-do and mend mindset, while I am of the ‘if I remember towels from my childhood that you are still using and I am almost 32, you should buy new ones’ mindset. One of the first things I did when moving out was to buy bath sheets – not towels – and as that starter-set wore thin, I replaced them with the Sheridan Trenton range. This isn’t the best of their range, but I am sucker for a big fluffy towel and these ones do the trick. I have to admit I’ve spoiled the pristine look of more than I’d like of them with benzoyl peroxide, but for skinfeel they are still going strong. Sheridan Trenton. Perfect for being enveloped post-steaming hot shower. 4. A good bed. Once upon a time there was a princess who lived alone in her castle with only one puppy and two kittens for company. Her double-sized bed was sufficient for the four of them, but alas her mattress was the cheapest she could find on her return from foreign lands many years before, when the lifestyle and income of a student obliged her to be as thrifty as a churchmouse. One day the princess was joined by a charming prince, and suddenly the double bed was just too small, and just too hard, and the charming prince even preferred his terrible futon to the princess’ bed. And she couldn’t blame him. And the princess chose to upgrade not just to a queen size, but a king size, so she would never have to regret not going bigger (although she now wonders what a Super King would be like). The princess also chose a latex mattress and the moment that she first lay down on it, she fell in love. In fact, when the prince and princess were looking at buying their next castle, some castles were rejected solely on the basis that the master bedroom was too small to accommodate the king sized bed, and they had vowed to never give it up, no where, no how, no way. And when the prince and princess were joined by another puppy, and then by a little baby, they were very glad that they had a big comfortable bed for everyone. And they all slept happily ever after. The End. 5. Homewares. 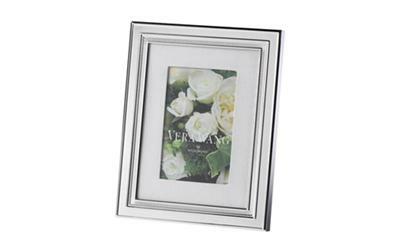 I take great joy in a series of lovely photo frames and homewares. I just do. Vera Wang for Wedgwood ‘Chime’. Love the grosgrain edging. Vera Wang for Wedgwood ‘Chime’ set of three in different sizes – I have my favourite wedding photos in these. I bought one, my bridesmaids gave me another, and my sister presented me with the final of the set on my wedding night, just from her. 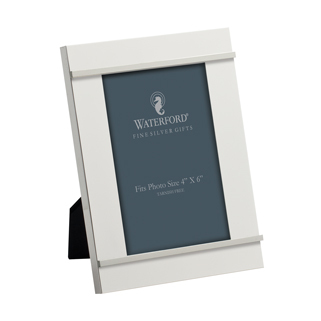 I have most of my photos in various sizes of Waterford ‘ Kilbarry’, They are simple, classic but modern, elegant. 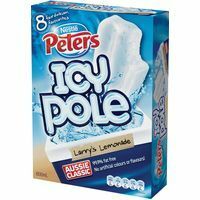 Sadly I can’t find them on the Peter’s of Kensington site any more, which is a shame because they were most reasonably priced. Royal Doulton ‘Radiance’. Also useful as an ad hoc weapon. 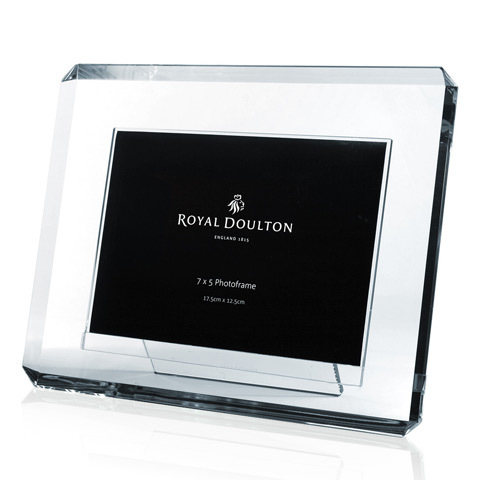 Royal Doulton Radiance bevelled frame – nothing like some sharply edged crystal. Not to be dropped on naked toes. Georg Jensen polished steel pitcher. 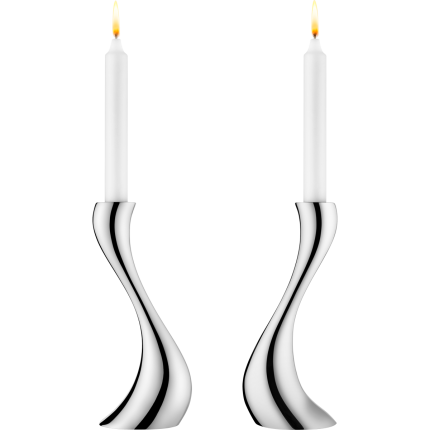 Georg Jensen ‘Cobra’ candlesticks. Sinuous. But … have you seen this. Pure silver. The form, the fluidity … the price!!!!! Just $54,000 will have this beauty on your buffet. Georg Jensen Koppel Collection silver pitcher. 6. Sweet indulgences.Koko Black dark choc with coco nibs and caramelised hazelnuts. Don’t think this one needs any more explanation. Koko Black. Don’t search google but forget the second ‘o’ like I did. Especially not at work. (This one has no caramelised hazelnuts. I highly recommend them). 7. Fruit. 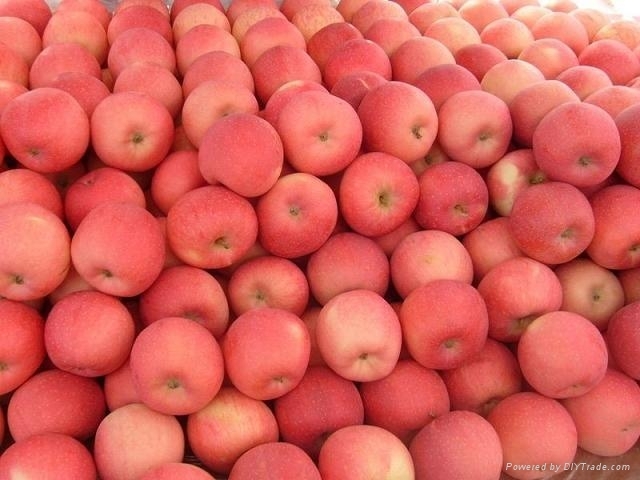 Chilled Fuji apples. Pre-Bunny, I wasn’t much of a fruit eater. Apples gave me a stomach-ache and made me hungrier, but now I can’t get enough. Crisp, sweet, firm. They must be chilled, mind. 8. Flowers. There’s something about fresh flowers. Maybe it’s having made a bit of extra effort, or maybe it’s just the general wellbeing that comes from having living things in a home (admittedly flowers aren’t exactly alive). I try not to spend much money as buying flowers is a weekly luxury, so I particularly love long-lasting bunches of vibrant proteas. I’ve found it harder to find proper places for flowers in the new house as there are fewer obvious spots than before, but I suppose that’s half the challenge. 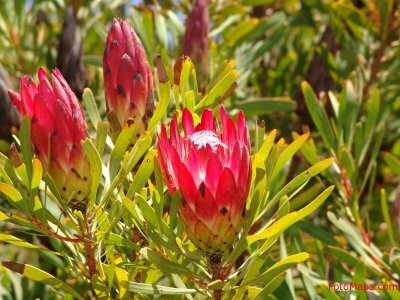 South African proteas – but they look so Australian that they are usually included in bunche o f native flowers. 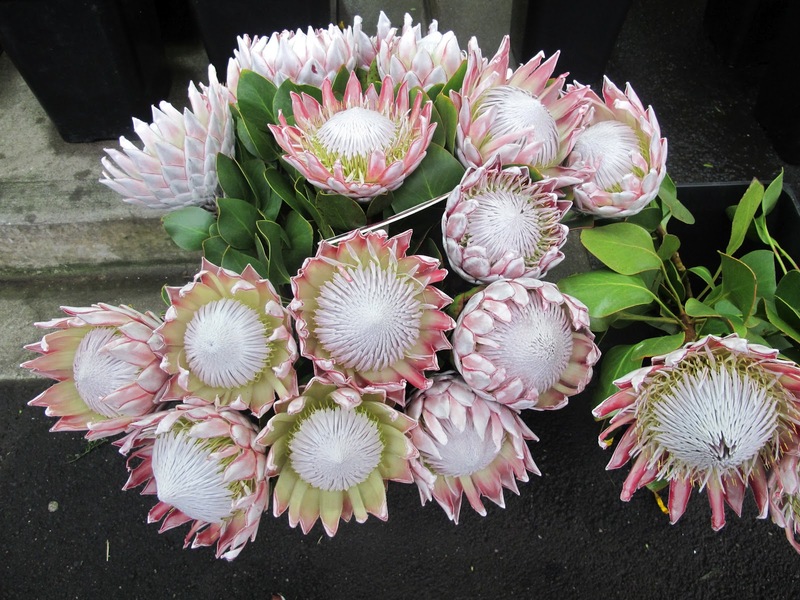 I would love to get more of these incredible giant proteas too – the soft pinky-greyness and the oversized scale intrigues me. 9. Massage. Pre-pregnancy, a quick massage from one of those walk in places would suffice, particularly Vigorous Thai massage in Bourke St which is far less brothel-y than it sounds. Iam of the school that if it isn’t hurting, then I’m not benefitting, so firm pressure and attention to knots is a must. Now, however, I feel that the lack of wine and gin in my life means that I deserve a proper massage, and on the recommendation of a friend I have been visiting the most wonderful masseuse/physical therapist who I just love and no I won’t share her name in case you take all my appointments. She finds the most satisfyingly painful pressure points and I walk taller and more easily after every visit. 10. 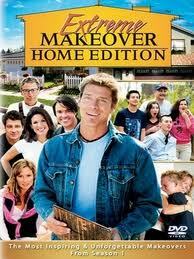 Finally, the cheapest and most lovely luxury of all – a clean and tidy house. Costs nothing but time and effort, but brings calm, relaxation and satisfaction. Today is not a glamorous day. I woke up feeling like another three hours sleep would barely scratch the surface. After yesterday’s first ever pregnancy spew, I was uncertain if that marked the beginning of a new era of morning sickness. I resolved to be at work by the time that yesterday’s ‘incident’ occurred so I would be close to a porcelain bus. Suffice it to say, at 9:15 I was stuck on a train. No repeat occurred, but only after I gave my stomach a stern talking to. I am still a mucus machine. I have been sick for most of April and May. No amount of lipbalm can make these smackers look anything but Sahara-like. It has dawned on me that much as I like the maternity tops I bought, they are pretty much what I’ll be wearing for the next 25 weeks. It’s getting old fast. I have a list of things I’d love to do at home tonight – cleaning, baking, blogging, walking – but I know I’ll be too knackered to do anything but watch terrible TV and make beans on toast for dinner, and go to bed exhausted and unfulfilled. I would like to go shopping but have to remind myself that the Boori tall boy for the nursery, bathroom fittings and deposit on the bathroom renovation actually count as shopping and therefore a trip through the soothing DJs homewares or childrenswear departments would be fruitless as my guilt would prevent me buying anything, thereby increasing my grouchiness. Luckily I have my massage/physio session to look forward to tomorrow. That woman finds the most painfully satisfying trigger points possible. I love her. And of course I had a lovely moment on Monday when I spotted a book in a children’s bookshop that I had a child, and I pounced on it. I must write a post on beloved children’s books and how I intend to stock the Bunny’s bookshelves with all of my most-loved. 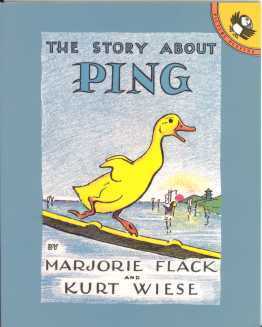 The Story About Ping. La-la-la-la-lei! Ah, the to-doings in APFE-land! Always one for a project, since spending September 2010 to August 2011 planning our wedding and the five week overseas honeymoon thereafter, I have returned home, gotten a promotion and started work in a new area in which I have no content knowledge, continued studying, applied for a home loan with all the hair-tearing that goes with it and … we bought a house! So to add to my ongoing To Do list, I have been in the depths of organising the financials and settlement, planning for a month-long renovation on the new house, organising tenants for our current flat, and organising the actual move. I believe this is called Gluttony (Punishment). So how to get through all of this, whilst maintaining long and good quality hours at work? While I am lucky in that my daily work is often quite flexible and I can sometimes send emails or make phone calls, the work itself is very demanding and often fast-paced, meaning that any distractions are a serious problem. I just don’t have a lot of time to juggle. I’m not ashamed to admit that the night after we bought, I walked around the supermarket in a state of high tension (very unusual for me), while a kazillion thoughts of all the things we had to organise flashed in and out of my head as I tried to meditatively chant “bread, soy sauce, tomatoes and apples” over and over as though my shopping list was an oasis of organised calm. The problem was there was nowhere for me to pour out my notes to self. In my head they are part of a swamp of half-formed ideas and forgotten lightbulb moments. I needed to stop panicking, take a deep breath, and take care of business. And I needed to learn to juggle. There are three ‘timezones’ to our plan. Breaking the time into chunks helped me identify what needed to be done and when, and then track backwards from there to work out what needed attention first. So February was all about forward planning: what did we need done? Who did we need to do it? When could we get them in to quote? What could we buy in advance? What did we need to research? What could we book in? I busied myself asking for referrals, organising for on-site visits, and purchasing whatever we could to avoid last-minute Bunnings raids. March is all about the work: we are knocking out some fixtures including an old wardrobe and pelmets; sanding and repainting all the internal trims (skirting boards, architraves and window frames); painting the kitchen cabinets; installing new window treatments throughout; installing a new sink, dishwasher, cooktop, oven and bench tops; possible re-tile the splashvacks if the tiles are broken in installing the new appliances (please God let this happen; I don’t know if I can bear to live with gumnut theme tiles); changing the lighting and putting in new light fittings; replacing locks and window winders; fixing some broken glass and poorly done window putty; getting a built-in wardrobe in our bedroom; and having the floors sanded and polished. All of the March work has been organised in advance: tradies booked, equipment bought, timelines thought out. The real purpose of February was to make March happen. I have two weeks off in April (no, I can’t believe it either) and in that time I will: unpack and organise the house; paint the external window frames; paint the outside concrete; plant the front garden; and set up veggie and herbs pots in the back garden. In the coming months we will gut the bathroom and renovate it, and re-tile the wet areas (they’re a lovely lino at the moment. Tres chic).These things are lower order priorities – they don’t need to be done before we move in, and so I have therefore devoted minimal headspace to them. When the critical things are done, I’ll allow myself to imagine by bougainvillea-covered fence and palm-tree filled garden with more love and attention, but until then, the internal works get all my lovin’. So how to stay on track? How to project manage this while chained to a desk ten hours a day? This isn’t my professional advice. It’s just what’s been working for me. I have a terrible memory. I panic when I recall something that I haven’t registered somewhere, because I know I’ll forget about it again. So lists it is. 2. Delivery of appliances booked for 4 March. They will ring one hour before. Don’t forget need ID to sign for delivery. 3. Windows. Paid 1/3 of cost. James booked for 31 March. Call one week before to confirm (diarised). Sophisticated? No. Suitable to me right now and what I can manage? Yep. You could project manage this in many different ways, and I’m sure that there are far more information-rich and more complex ways of managing it. If I weren’t in the midst of a high-pressure time at work right now I could even probably manage to do something more fancypants myself. But right now what I can manage is to look at my lists quickly throughout the day, add to them easily when something pops into my head, and know that everything I need is on the one list. So that’s what I’m doing. And that’s how you juggle. 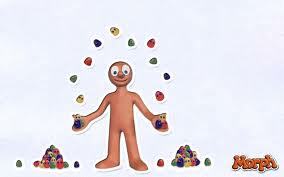 Sidenote: does anyone else remember Morph? I used to love him, and I must have been about 3. I was thrilled to find this picture. Oh well this is very annoying. Has anyone else had trouble commenting on Blogger blogs? I have gotten around it by using the Name/URL option but that seems particularly annoying when I’d like to use my actual WordPress profile. I’ve down some Googling and this appears to be common – so perhaps the tech people should have a look at it eh? !